To meditate is to do something that re-connects one back to their inner-presence. The Gentle Breath Meditation™ – founded and developed by Serge Benhayon and Universal Medicine in 1999 – is a simple and practical tool for re-connection back into one’s inner-presence. These meditation techniques have provided immense support to many thousands of people from all walks of life in developing back to a more vital, gentle and connected way of everyday living free from stress and anxiety. "When we lose ourselves, we lose the rhythm of our breath – meditation is a coming together. It is a stop to recollect yourself and gather your true breath." If you are seeking an easy to apply, no-nonsense style of meditation we offer a library of free meditations ranging from a general introductory audio and meditation to techniques with a specific purpose. Take a moment to stop, breathe gently and re-connect. You are absolutely worth it and the benefits cannot be underestimated. The Gentle Breath Meditation is delivered with true integrity; determining energetic quality by developing first the quality of gentleness and the rhythm of your own breath through the tip of the nose. 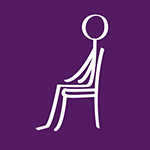 The meditations provide easy step-by-step techniques that only require 5 – 15 minutes to apply. You may find one or a number that suit your developing needs. These meditations can be done anywhere and are simple to introduce into the rhythm of daily life as a point of re-connecting, restoring inner harmony and as a balance for the external pressures of life. You will find many free meditations and a lot more information on these pages. The Introductory Gentle Breath Meditation® is both instructional and informational and provides a great place to start. To get a feel for the very real benefits of the Gentle Breath Meditations - read the testimonials. They are written by everyday people from all walks of life and provide a good feel for the profound and life changing support that practising these meditations can deliver. Visit the Universal Medicine meditation page for a deeper understanding on the subject of meditation.